Now that Batman has seen AMAZO, his old plans have changed. But will his methods continue to be as drastic for dealing as they were when dealing with Zod? 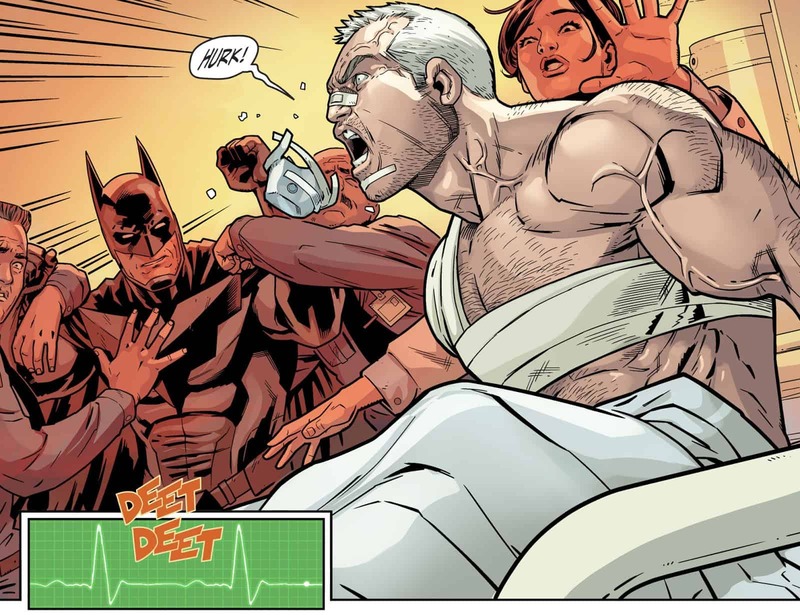 Picking up immediately where Issue 39 ended, the hospital staff is in disarray after Batman pulled the plug on Wildcat. The staff is understandably distraught over what Batman does but he just asks them to trust him…after subtly threatening them to not interfere. Moments later, Wildcat revives and Batman says he lost one of his nine lives so they could save someone else. They then head to Longyearbyen in Norway. They came to recruit the isolated surgeon and former JSA member, Dr. Mid-Nite. He dons his old costume and they depart for the Fortress of Solitude. There Zod’s body lay frozen in ice, courtesy of Batgirl. Harley has begun prepping for surgery and Steel repurposed Green Arrow’s Kryptonite Arrow from earlier into surgical tools. Tools they’d require for their patient, Superboy. With the aid of Plastic Man & Luke, Superboy escapes the Phantom Zone but within moments he begins to succumb to his fatal heart injury. Wonder Girl & Starfire are there to greet him but he asks where Robin is. Batman lies to the Titan and says he’s tracking something down. Successfully fooling Superboy to Wonder Girls annoyance. 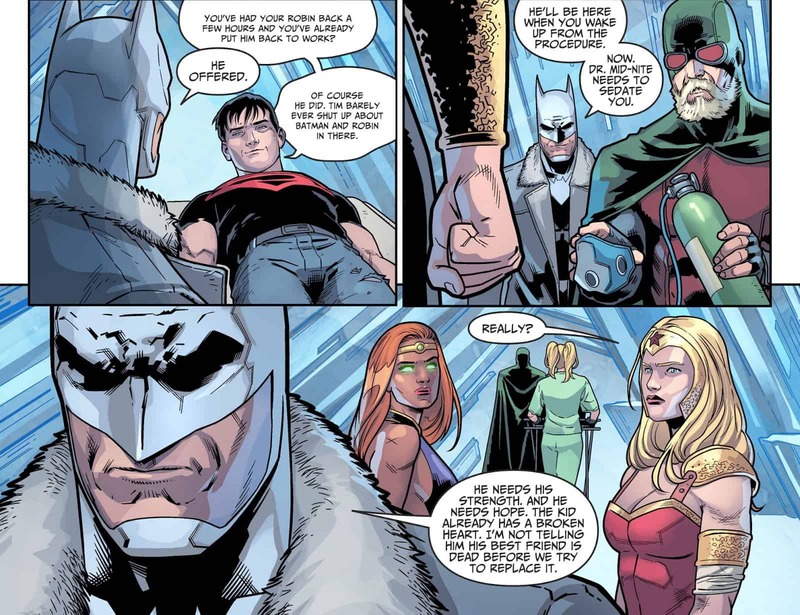 Batman just dismisses her saying that he needs to be strong and hopeful. With his already weak heart, telling him his best friend died could be a fatal blow. Superboy is sedated and Dr. Mid-Nite & Harley begin surgery. Their plan is to perform a heart transplant between Superboy & Zod. Dr. Mid-Nite requests Harley concentrate and gives him her full cooperation. They only had one shot with the transplant and aren’t even sure the two Kryptonians are compatible. 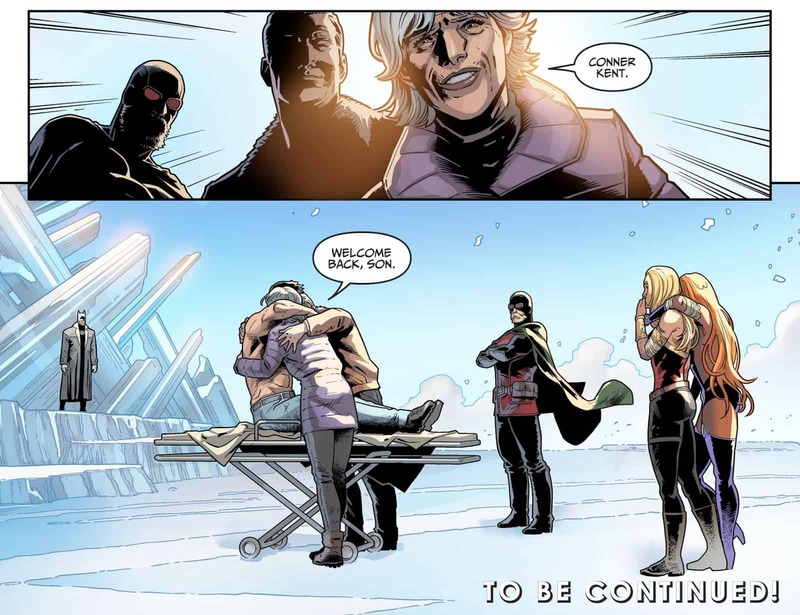 The scene transitions to Superboy as he awakens from his seemingly successful surgery. Having been wheeled out into the sunlight to recover. The Kents are ecstatic to see him alive and give him a heartwarming hug. I admit to not knowing anything about Wildcat but that was pretty cool killing him so he could come back healthy. It was like a video game where you force a respawn. It’s nice to see Superboy finally able to go to the frontlines again. 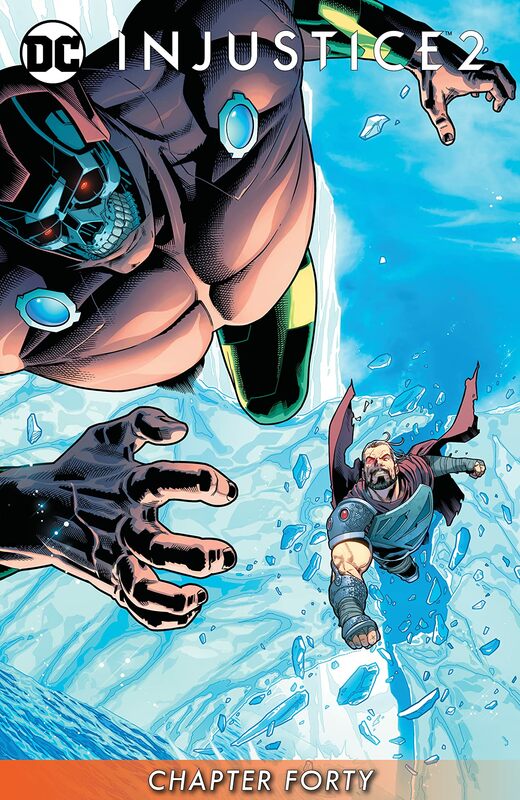 Though given how Zod fared against AMAZO, his presence may not change things in the long run. It was also a really nice touch showing Harley back in the medical field. Sometimes you forget how she was before Joker got his claws into her but moments like these are always a treat. Overall, it was a bit of cooldown issue so not much happened. It felt slow and like everything passed relatively quickly so I can’t fault it for that. Now the heroes finally have a concrete win under their belt.